Asbestos Vault is a secure, easy-to-use and affordable on-line system for storing and retrieving asbestos reports and other asbestos documentation. We announced an exclusive partnership with Asbestos Vault a couple of weeks ago (see http://robinbennett.blogspot.co.uk/2013/07/start-software-and-asbestos-vault.html) explaining how Asbestos Vault and Alpha Tracker can work hand-in-hand. 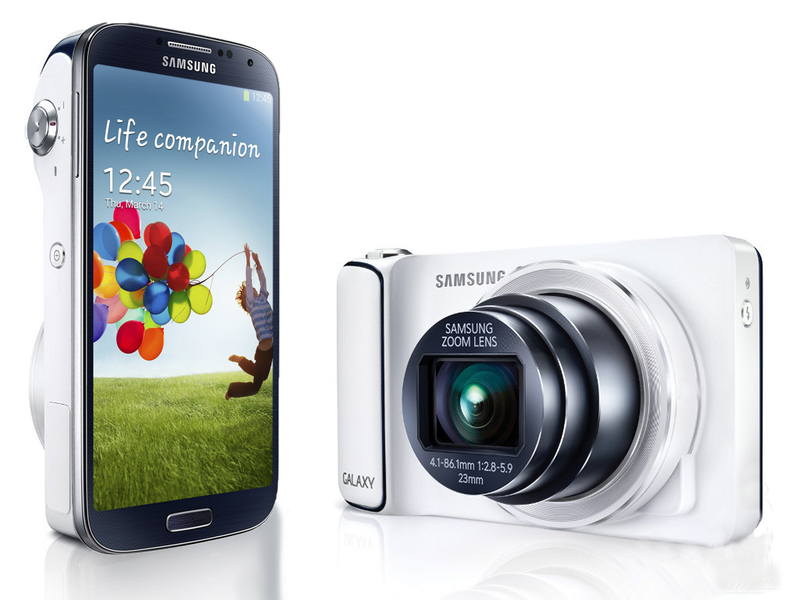 Samsung's new Galaxy S4 Zoom is the latest "smart camera" device, perfect for asbestos surveyors using our Tracker Mobile handheld asbestos data capture system. Unlike the Samsung Galaxy Camera (another Android smart camera device I blogged about here http://robinbennett.blogspot.co.uk/2013/03/surveying-software-on-android-samsung.html) the Galaxy S4 Zoom is also a fully functioning phone, giving asbestos surveyors a top-end phone and 10x zoom camera with flash and Tracker Mobile asbestos survey data capture device - all in one lightweight unit. For more information about using our Tracker Mobile asbestos surveying software or to try our loan Galaxy S4 Zoom yourself, please contact us. Start Software's biggest Mobile Data Studio customer! We've been doing some mobile data capture consultancy with one of the world's leading manufacturing companies (a $30 billion multinational). Our contacts there are pretty self-sufficient now (having received training and mentoring support from us with the Mobile Data Studio product) but still keep in touch to ask for advice about mobile data form design, especially as they are now capturing data in the field on a wide variety of devices - Android, iOS (iPhone/iPad) and Windows Mobile. They have recently been using Mobile Data Studio at trade shows, enabling them to build data capture forms for salespeople to gather information from delegates as they visit the stand. The information captured is transmitted via the 3G mobile phone network back to head office where the data is used to build databases of leads and prospects. We previously helped with a field service engineer data capture form used by staff on the road to complete maintenance records direct from the customer's premises. Do you need to capture information on mobile devices? Do you want the flexibility to use whatever device you choose from iPhone, iPad, Android smartphone, Android tablet or ruggedised Windows Mobile unit? Get in touch and we can build the data capture application for you and faster and for less money than you imagine. I blogged a couple of weeks ago to explain how to be automatically reminded of appointments created through Resource Tracker Sync. Resource Tracker Sync enables asbestos surveyors and other staff to have their diaries available on their PC, smartphone or tablet with their diaries automatically updated from the Tracker or Alpha Tracker calendar. 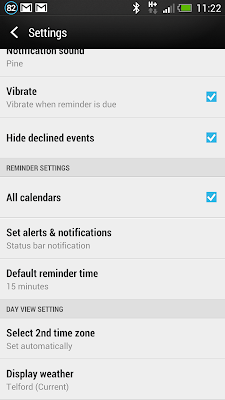 There is another feature in Google Calendars which is really useful and very easy to enable. Google can automatically email daily digests (summaries) of your diary at, typically, 5am so that an asbestos surveyor or other member of staff can get an automatic summary of their day sent to them by Google in their email ready for when they start work. An old trainer colleague of mine - Les Gutteridge from 101 Computer Services - emailed me this week with a new YouTube video he's created to promote his Microsoft Office training business. It rang a lot of bells when it came through - training really does pay dividends, and when we revisit Tracker clients (for example, to provide refresher training for asbestos surveyors or asbestos administrators) I'm often surprised how staff manage to "muddle through" without proper training and how much more productive they can be when they've had some proper guidance. Les is also able to provide Microsoft Access training to help Tracker system administrators with data extracts and report customisation. We're working on several Alpha Anywhere software developments this month, building interactive systems suitable for web and mobile access. Alpha Anywhere is our favourite development tool, enabling us to build feature-rich systems incredibly quickly for the benefit of our customers. I've personally been working on two "portal" systems this week, enabling users to access their data and documents via web and mobile. The first is for a large manufacturing company and the system is targeted at the company's salespeople. Out on the road, they will be able to look up information about customers, orders and stock from their PCs, tablets or smartphones. The second system is for one the UK's largest asbestos and environmental consultancies. Their portal will be used by their clients to access PDF versions of their reports, view asbestos site summaries and map all of their data via Google Maps. This system is really coming together now, offering a really powerful desktop web and mobile experience. The mobile development is especially good fun!! Resource Tracker Sync is one of the Tracker and Alpha Tracker asbestos software system modules. It is used to automatically synchronise the Tracker work calendars across to Google Calendars or Microsoft Exchange calendars so that asbestos surveyors and other staff can access their diaries on whatever device they choose. We use Resource Tracker Sync ourselves and up to now the only problem I've come across with my own diary is that my phone hasn't automatically reminded me when an appointment was about to start and I couldn't see how to set the reminders easily. We were thinking about a programming fix for this but actually it turns out that phones and tablets (including iPads) that are set to sync with Google Calendars can be told to automatically set the reminders. 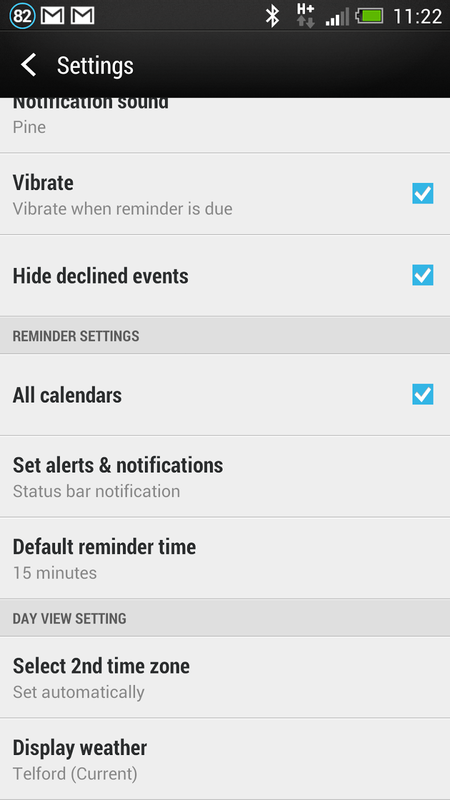 Having set this option, all new appointments created within a Tracker or Alpha Tracker diary now appear on my phone and automatically reminder me 15 minutes before the event. If you need any help with this setting or would like more information, please contact our support line as usual. Resource Tracker Sync can help your asbestos, legionella or environmental consultancy to be more efficient enabling site staff to see their work diaries from any device they choose at any time with the diary always automatically updated. If you don't use Resource Tracker Sync, get in touch and we can discuss how to integrate it into your business. The latest Alpha Tracker release has gone live today at all sites. data collection for asbestos labs. See http://www.start-software.com/tracker/alpha-tracker/ or contact the office for more information. performance improvements and better error trapping throughout. Please contact the office to request this update which is free to all Tracker customers with active support contracts. Alpha Tracker, the web/cloud based software system for asbestos consultants, asbestos surveyors and asbestos consultancies has been upgraded to version SVN135. This latest release has improved asbestos lab functionality (for asbestos bulk samples and identification) and also has improved searching throughout the system. The next release (due next week) will have much improved customer and contact management ("CRM") built-in. For more information about Alpha Tracker click here or email dan.darkin@start-software.co.uk. 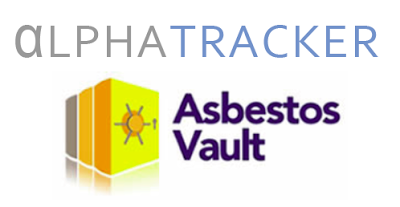 We're delighted to announce that Start Software and Asbestos Vault have formed an exclusive partnership for the benefit of asbestos consultancies using the Alpha Tracker software system. Asbestos Vault provides a secure online document storage facility for all types of business and organisation, enabling key asbestos documents (such as asbestos reports, asbestos lab certificates, clearance certificates and the like) to be stored and retrieved by anyone with the appropriate security rights. For more information, contact Asbestos Vault's Director, Mark Armstrong (mark@AsbestosVault.com) or Start Software's Director, Robin Bennett (robin.bennett@start-software.co.uk). UKITA is the UK IT Association, the leading body in the UK for IT companies. Start Software has been awarded full member status (see http://www.ukita.co.uk/start-software.html) and we are working towards the UKITA Quality Mark accreditation as part of our ongoing commitment to ensuring the quality of our products and processes.